Our new range of Rare Earth Neodymium Spheres Magnets come in different sizes and strengths. They are axially magnetized, meaning the direction of the magnetic field come from the north and south poles of the sphere. The Neodymium nature of the magnets mean that they possess incredible strength for their size. The strongest spherical magnet we provide is larger in size (25mm in diameter) but has a magnetic pull force of approximately 10 kilograms! Often used in creative applications, our Neodymium Spheres Magnets are great for artists to incorporate into their work and can be used to build any sort of shape or structure. They can also be used for any kind of nifty repair around the home due to their immense strength! Due to their unique shape and their small size they are able to fit into most small spaces and are useful in mechanical applications. The external surface is coated in nickel, perfect for protecting the magnet against corrosion and scratching and gives it a smart exterior appearance. 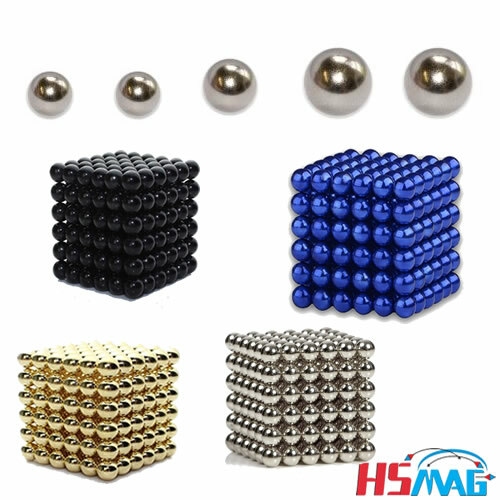 Perfect for improving the home, the office or a mechanical environment, these Neodymium Spheres Magnets are available today at HSMAG !